In 1664 King Charles II authorised the Earl of St. Albans, Henry Jermyn, to develop the area close to St James's Palace (today's Jermyn Street). Ever since, high quality British artistry and craftsmanship have flourished here. 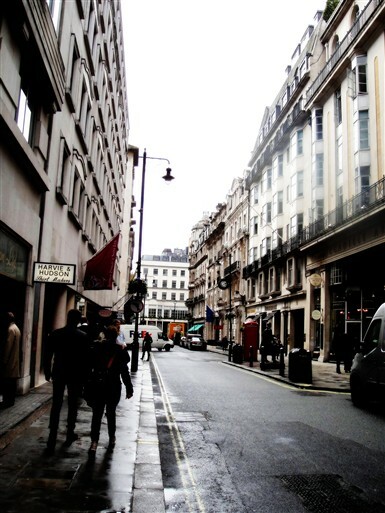 Jermyn Street SW1 rapidly acquired a fashionable reputation with luxury hotels and high end gentlemen's retail stores. Distinguished residents over the years included Bishop Berkeley, Sir Isaac Newton, William Pitt, Thomas Gray, Sir Walter Scott, and W.M Thackeray. 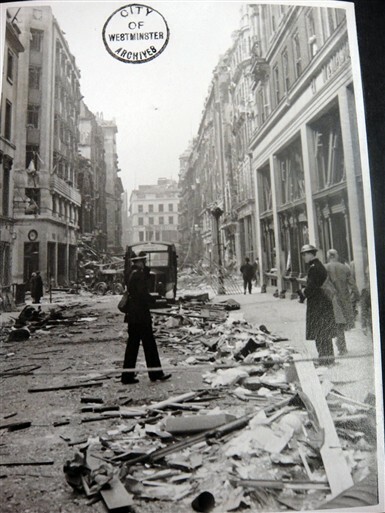 On 17 April 1941, a Luftwaffe parachute mine exploded on Jermyn Street at around 3.10am. The damage was atrocious. The Hammam Turkish Baths (1862) at 76 Jermyn Street and No 50 Jermyn Street were both completely destroyed. 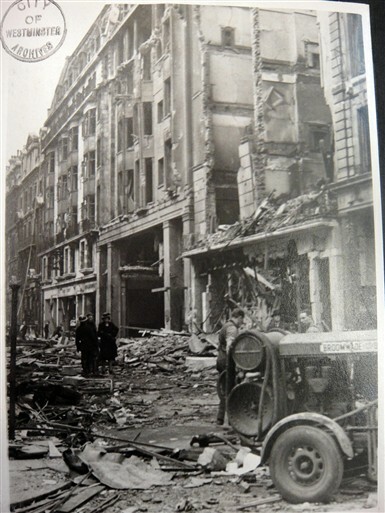 Nos 77-79 Jermyn Street were severely damaged. 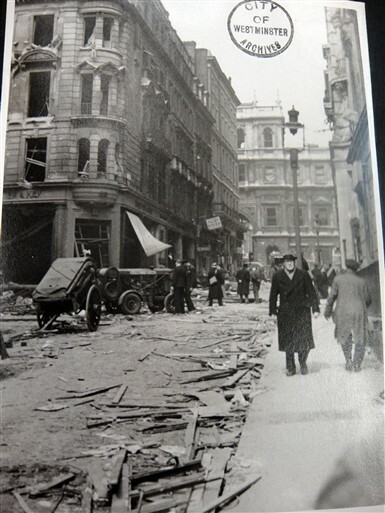 Other premises to suffer included Fortnum & Mason, the Cavendish Hotel, Dunhill's and the southern end of Piccadilly Arcade. By 3.16am the number of casualties was still unclear at the Westminster Report Centre. However, many requests for ambulances came from Jermyn Street, Duke Street St James's, Piccadilly and St James's Street. At 3.24am, a request for an ambulance was sent from the Devonshire Club, a gentlemen's club on St James's Street, stating that there were two women injured by blast. About the same time, at the Ritz Hotel, not far from Jermyn Street, the assistant manager reported an injured man. At 4.37am, another four casualties were found at 16 Bury Street. 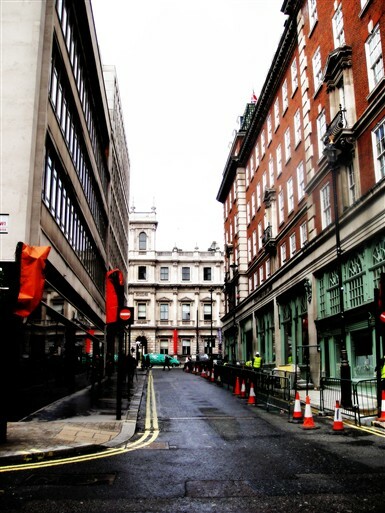 Jermyn Street and Duke Street St James's were reported blocked by debris at around 5.28am. 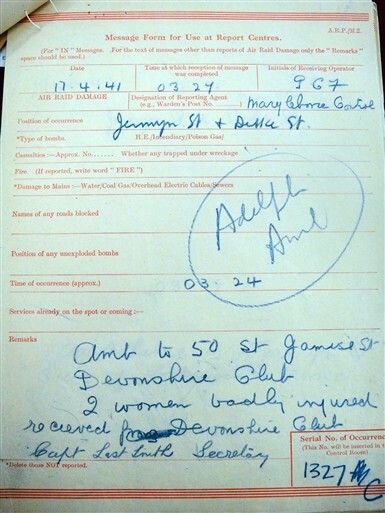 A similar report at 9am noted that St James's Street was also blocked. At 6am local residents requested a rescue team to help people who were trapped under the buildings. Mortuary vans went in and out of Jermyn Street. 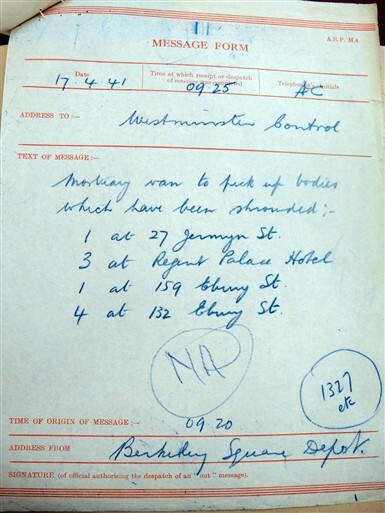 At 6.32am residents in Duke Street St James's and Piccadilly requested a mortuary van for five bodies. Around 10.20am, at the Unicorn Public House on Jermyn Street, a resident requested a mortuary van to collect two bodies. While the mortuary vans and ambulances were assisting the casualties, more problems arrived. At 3.35pm the water-main in Jermyn Street and Duke Street St James's stopped working. A fire broke out in 48 Jermyn Street at 5pm. 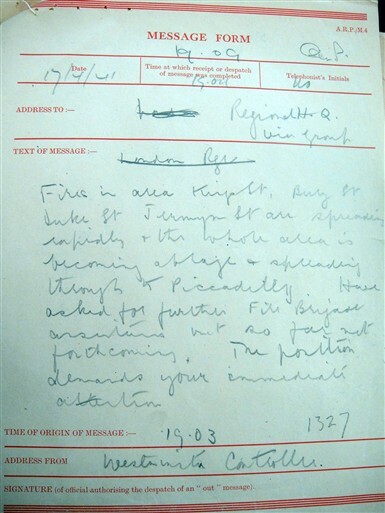 The fire soon spread to Jermyn Street, King's Street, Bury Street, and Duke Street St James's. 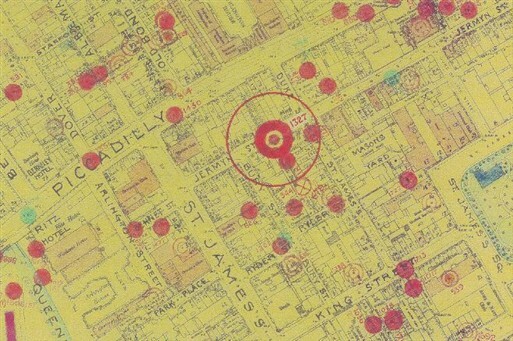 The whole area up to Piccadilly was now threatened. Because the fires were so widespread, the fire service faced being overwhelmed. Two hours after the first report of fire, additional pumps were sent to the Jermyn Street area and finally brought the fires under control. In this bomb incident 23 people were injured and 7 were killed. One of the fatalities was the popular 1930s singer Al Bowlly. Different stories are told about his death. 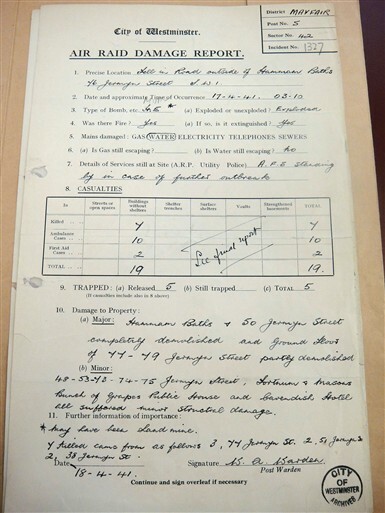 The most popular version suggests that on 16 April 1941, the night before the incident, Al Bowlly was performing at the Rex Cinema in Oxford Street. 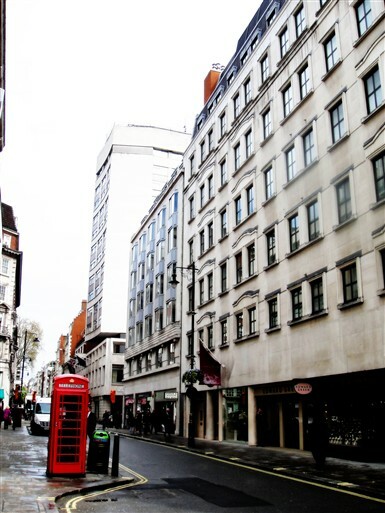 Although he was offered an overnight stay in Oxford Street he insisted on going back to his flat at 32 Dukes Court (at the corner of Duke Street St James's and Jermyn Street). After he got back to Dukes Court, the parachute mine detonated outside. His bedroom door was reputedly blown off from its hinge by the blast, hitting his head. The impact was fatal. This page was added by Yi Luo on 10/05/2012.